Ask anyone who smokes whether a teen smoker or a lifetime pack–a–day smoker, quitting can be tough. Infact, it seems quite a number of people get on the bus then hop off long before they get to their destination. Yet, with the right game plan tailored to your needs, you can break the addiction, manage your cravings, and join the millions of people who have kicked the habit for good and hold the status 'I AM AN EX-SMOKER'. To smoke or not to smoke is a lifestyle decision that significant effects for the person and others people around the smoker. While there exists a vast array of resources (online & offline) with varying claims of success when it comes to helping a person become a non-smoker, the first step in this journey is Why? It is true smoking has harmful effects and various people decide to stop smoking for diverse reasons. However it is critical that having made up one's mind to stop smoking, this journey starts by answering the question 'why do I smoke in the first place?'. This is because since smoking is a habit that has gone on for some time, to stop requires one being motivated by a powerful, personal reason to quit. This could range from wanting to protect friends & family from second-hand smoke (shs) effects, desiring younger-looking appearance, no smoking policy in your new office amongst others. The truth is no two people stop smoking for the same reasons owing to our personalities and circumstances but every smoker requires appropriate motivation to change status. Answering the why question and other follow-up questions will greatly aid one's ability to stay the course while embarking on the journey. After outlining our answers, the next step is to choose a specific quit date e.g. I will quit starting from Oct 1. For some folks, they try to quit smoking each year on their birthday or make 'I will stop smoking this year' another New Year's Resolution that more often than not bites the dust. Choosing a quit date has been shown to greatly increase the odds of achieving set objectives as it makes it more likely that you’ll succeed. However, so as not to lose motivation to quit, it is recommended that the quit date chosen be within 2 weeks though, so one will have enough time to prepare. If you mainly smoke at work, quit on the weekend, so you have a few days to adjust to the change. Those who have succeeded with their smoking cessation mission also enlist the help of their friends, family and co-workers by sharing their 'stop smoking' plan with them so they can support & encourage one especially through the rough times. Doctors have also been found to be of great support in these instances so have a chat with yours about your decision to become an Ex-smoker. 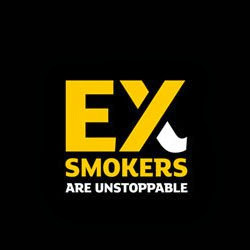 Research indicates that most people who fail to complete the journey of becoming an ex-smoker d so within the first 3months as they give in back to the craving for a smoking. For some, it starts gradually i.e. with a puff, others a stick but eventually, such persons are fully in the smoking habit again. 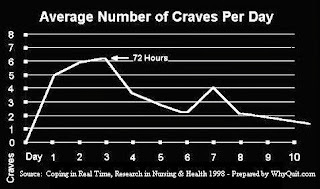 This makes it essentially to anticipate there will still be cravings to smoke and plan for these challenges one will face. Removing all cigarette packs, lighters, matches, and ashtrays from your home, car and office drawer is our next practical step as eliminating such handy options has been proven to help ensure one stays the course. Please note there is no room for saving an emergency cigarette pack as with the decision to quit comes going cold turkey. One must go further to wash clothes, clean your drapes and carpet, and steam your furniture basically freshening up anything that smells like smoke. The use of substitutes like mints, sunflower seeds, toothpicks has aided ex-smoker get used to not smoking. Physical exercises e.g. play a sport, go to the movies, walk along your street, catch up with smoke-free friends for a gaming session and hang outs, etc are essential tools to deploy during the journey. If you ever "slip" and smoke while trying to quit, forgive yourself and do not get discouraged. Simply pick up yourself and begin again one day at a time. The key is to not give up, no matter how hard it feels as your courageous decision to become an Ex-smoker is one worthy of emulation. We ask that you spread the word and join efforts with us in making Nigeria a smoke-free zone.